Every once in a while we will find an article that delivers a direct message in a way that we, ourselves, could not improve upon. Today we found a letter written by a Ketchum man who believes the Governor of Idaho, C.L. “Butch” Otter, has done serious damage to environmental efforts in the State of Idaho by taking much needed funds for monitoring water ways in the state. So without further ado, we will now present Steve Wolper’s letter to the Idaho Mountain Express in full. Several years ago, Gov. Otter, after two previous violations of the Clean Water Act, had to pay a $50,000 fine for violations while polluting a side channel of the Boise River. It should come as no surprise that he has done all he could to end water-quality monitoring in Idaho. In 2008 to 2009, Gov. Otter was complicit with the Legislature in successfully defunding the Idaho Department of Environmental Quality’s water-monitoring program. That leaves about 33,500 miles of rivers and 186,680 acres of freshwater lakes with insufficient monitoring data to protect them from pollution. This is in a state that advertises itself as “the Whitewater State,” never mind the world-class trout, steelhead and salmon fisheries that bring tens of millions of dollars into our struggling economy. Adjusting the budget in these financial times is logical, but cutting essentials is not. Clean water is not optional, it is essential—it is our lifeblood. 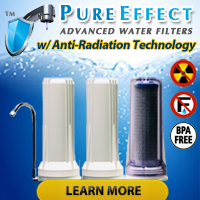 Our health and economy depend on clean water for domestic and commercial consumption and recreation. It makes no sense and is a false economy to defund water quality monitoring when the cost to clean polluted streams and lakes is enormously more expensive. Without baseline monitoring data, it will be virtually impossible to set and maintain minimum standards. It is always far less expensive to recognize and stop the pollution before the damage is done. In the last year alone, the state has spent tens of millions of federal and state (taxpayer) dollars to clean up the Coeur d’Alene basin and many other polluted waters. The governor and Legislature must reinstate our water-quality-monitoring program—it is essential to the health and economy of Idaho. If the idea of a political figure possibly abusing his or her powers while in office for personal gain or for the personal gain of friends shocks you, then we would like to run for office in your town. Alleged corruption in politics sounds as natural and normal as… the feeling of enjoyment people have after taking a nice, long drink of sparkling clean water. With that said, we hope people in Idaho find a way to get funds back for the testing of surface waters running through their communities because as Steve pointed out, it costs a lot less to monitor waterways than it does to clean them up after contamination occurs. We fear that the cuts in Idaho Department of Environmental Quality’s water-monitoring program may have already gotten so deep that even adding money back to their budgets will not bring them back to the level they need to reach in order to effectively watch over the state’s lakes, rivers and streams. Therefore, in situations where the government has decided to walk away from environmental monitoring — for ANY reason(s) — the public has to step up do the testing on their own… or nothing will get done. Thankfully, though, many field-ready test kits exist that don’t cost a fortune and also don’t require advanced knowledge of chemistry to operate. These kits may not, in many cases, have the same levels of precision and accuracy as the equipment used by water testing professionals, but they do give on-the-spot results that people can use as evidence that water in an area may require more sophisticated testing. Worried about carting around a ton of testing stuff? Well don’t! The Well Driller Master Test Kit comes packaged in a convenient blue plastic carrying case that keeps everything together in one place. 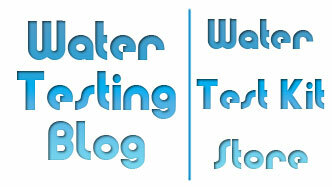 Interested in other water testing kits? We suggest you take a look products made by SenSafe and WaterSafe. 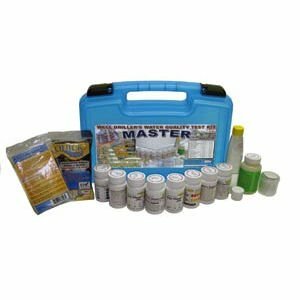 Whether you need to test a whole lot of different water sources or you want to test the same source numerous times, the Well Driller Master Test Kit makes the life of a do-it-yourself homeowner, and/or a dyed in wool water professional, a whole lot easier.